Onida Washing Machine Customer Service Number is provided below for customers who would like to contact Onida Washing Machine Customer Care for any queries/issues they may have with regard to their Washing Machine or customers who want to raise service issues and complaints can utilize the Onida Washing Machine Service Email or phone number. Customers who have problems with regard to Onida products can contact the Customer care number and service center number given below. Onida operates over 185 service centers across India and customers have to prefix STD code before the below mentioned number. Customers who are looking for regional and local service centers of Onida can choose their state and city from the list below and get information with regard to the Onida Customer Service Centers in their locality. Service Centre Name : Adonis Electronics Pvt.ltd. Address : No 488, 5Th “A” Main, 11th Cross, Woc 2nd Stage, Near Modi Hospital, Mahalaxmipuram. Service Centre Name : M/s.shakthi Engineering. Address : O.No.5, N.No.11, Perumal Koil Garden Street, Arumbakkam. Address : Shop No…5, Plot No-46, B, Santosh Chs, CST Road. Area Name : CST Road. Address : Rz-1C, Gali No.4, Syndicate Enclave, Dabri. Address : 6/2/3 Godawari Apt, Behind Nisarg Hotel, Opposite Padale Palace, Erandewane. Address : Saptagiri College Road, Dno. 29-5-1/3, Governor Pet. Area Name : Governor Pet. Carry in Warranty is something where customers have to carry the product to Onida Service Centre available and get the service done by the Customer Service team. Onida Onsite Warranty is where the customer service technicians visit your home to get the product serviced, this service is applicable for selected products within the city area limits only. Both these warranties are applicable for Onida Washing Machines. There is 10 Years Warranty on Motor and 2 Years Comprehensive Product Warranty from Onida for Top loading and front loading Washing machines. In order to extend your Onida warranty period for parts of your products,you should register the Onida product within 60 days of purchase for extended warranty. You can also call up the Onida Customer Care Number to know the details regarding the registration for warranty of the product. Onida AMC, Annual Maintenance Contract is also provided for customers to maintain the products in great shape every year, you can check the rules and regulations, plans to purchase the AMC in the company website. I have a onida washing machine,which was working very good . Last 7 days it is not working.Kindly send a service engineer urgently in my home. My washing machine model no. SPLENDOR SPLASH 65,registered mobile no- 9658580055. March month I have given complain regarding not working my washing machine but still ur company not giving anytype of service. Whenever I m calling customer care they are telling service centre people will contact with us and service centre we are talking means they are telling stock not there. Fast they told within one week problem will solve. Last one month you people playing with us.last 10 days everyday telling today material will come, tomorrow will come. Material in Calcutta. Maximum 2 days time will take. And sometimes call cutting without any response. which type of services you are giving to customer, really only harassment.This type of worst service you people giving. This is my final mail to you if you are bot giving any response then I ll go to consumer court,your face book and twitter page i ll write review also mail to PMO how harassment public facing. I am staying heart of city, capital of Odisha. city only you people not providing service then rural people how you will give service. your local service center people telling it will take 2/3 month time, why you are purchasing Onida company. I Mr. Amit Patil is an unsatisfied customer of your reputed Brand Onida. I am really not satisfied with the service that is provided to me. I am sorry but I don’t think I can ever think of purchasing any other product of your brand in the future nor can I recommend your brand to anyone else. 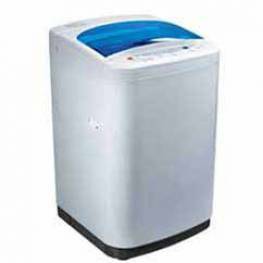 I am having ONIDA Hydro Shakti Washing machine. It was having a minor defect with drain switch which needed replacement. After initial visit, your service engineer took almost 10 days to bring the switch & replace it. After his inspection & replacement of switch, machine started giving more troubles. Main MCB of my house started tripping instantly after starting the drier. I again referred it to customer care regarding it. My frustration levels were really tested this time as it took more than a month for your service engineer to find time to come & see the machine. He said that machine was not properly assembled which caused water to ingress & caused short circuit. As per him, motor is defective & needs to be replaced. 1st visit costed me Rs 1200 & now 2nd time he says Rs. 2300 will be the cost of repair. Why should I bear the cost for poor workmanship of your engineer? Initially prior to visit of your engineer, machine was at least working ok which makes me feel regretted having sought your support. I guess this is the last product of ONIDA I ended up buying. No more ONIDA hence forth! HOUSE NO. 101 (ICHHA), ROAD NO. 01, BASANT VIHAR, NEAR SAHAJANAND CHOWK, HARMU, RANCHI-834001. I Mrs. P. Fernandes is a unsatisfied customer of your reputed Brand Onida.I am really not satisfied with the service that is provided to me. I am sorry but I don’t think I can ever think of purchasing any other product of your brand in the future nor can I recommend your brand to any one else. On 2/11/2012 I purchased a Onida washing machine Model 62-TSP from Anup Trade Links Pvt. Ltd Margao Goa. In less then 5 months time the machine has started giving a problem. I logged a complaint on the following number : 0832-2728077 a couple of weeks back. They sent a technician to rectify the problem, after doing a check the technician said that the Clutch Plate needs to be replaced. In a couple of days another technicians visited my home to check the problem and he said that the Motor is not functioning and needs to be changed. He told me that it would take around a weeks time. But in vain its nearly 3 weeks and no body has bothered to rectify the problem. I wonder whether the technicians sent are qualified people. Because each one tells a different thing to us. Last week again I gave a call to find out the status of my complaint. They told me that it will take another 4 days for the part to arrive. Its more then 4 days today. I am Onida washing machine customer, Sorry to write the following few lines…. I purchased a Ondia washing machine (F/A Hydromatic 60FS WO60FFS1WH) with Onida MW Oven on 23.10.2011 as a diwali combo offer at Agari Enterprises, Padubidri 574111, Udupi Tq. and Dist. Karnataka State. We came out with a assurance that the company Demo personnel will come to home for Demonstration of the both. Many days gone no one attended. Washing machine was said to be Fully Automatic, But from the date of purchase its water inflow inlet should be manually operated. Either its not fully Automatic or there is some manufacture defects… We have informed to the above dealer for demo several times over phone. But till now, even after 15 months No one came for Demonstration. Thats a great custumer service i have ever found…. My washing Machine is under warranty period ( 24months) and Daily we were facing problems with washing machine. No progress in last several months. I understand that Onida is one of the reputed companies for giving good products and good service. Hope your service will not disappoint us. It is very difficult to reccomend such a careless service to others.Onida is a biggest reputed company in India but the service is very lowest. Immediate and appropriate action need to be taken for our problems. If service can’t be given, please inform us, so that we will go for other alternatives.. I have a problem with Onida washing machine 5.5 kg in beginning of Nov, 2012. And complaint was lodged (No. 12110736380512) with my alternative home mobile number. Mr. Raj shekar (Engineer Kukatapally sector has come and checked the washing machine. and cWhen he checked the machine told that there is problem with PLC panel and it needs to be replaced. and he said it will be replaced in two days from the complaint date i.e on 14.11.2012.Even after 10 days there is No progress in work and the issue was indicated to Mr. Basha (In-charge Kukatapally sector – Mobile number 9347129427).He said we placed an order for the board and it will be reaching us in next two days from warehouse. after a week when i called him he says that the board has not come and he gave the contact no. of Mr.Vara Prasad ( mobile no.9533633675) when called him he said the board will be received and replaced with in four days and now one month passed and two months are nearly reaching and the status is pending. when i am calling your rsm mr.vara prasad he is avoiding to lift the phone and answer my call. hope you are playing with the patience of the customer. if i wont get the appropriate reason for the delay of the spare to be replaced within next 03 days, i will lodge a complaint against company in consumer forum. waiting for service with anticipation. hope you people understand our problems. Immediate and appropriate action need to be taken to reduce our problems. I understand that Onida is one of the reputed companies for giving good products and good service. Hope your service will not disappointment us. I have a onida washing machine,which was working very good for last 11 month . Last 4 days it is not working.Kindly send a service engineer urgently in my home. I have a onida washing machine,which was working very good for last 5 month . Last 4 days it is not working.Kindly send a service engineer urgently in my home. I have a ondia washing machine , My washing Machine is under warranty period and having a complaint for washing machine. I have lodged a complaint at mumbai service centre on 01/09/2012, complaint number is 12095666380001 ,asking them to repair the machine. But they have not responded and even not taking care for my complaint. I phone to them several times and requested them to get it repair. So far, they did not respond. after 4 days i talk to kalyan service centre, they told that there is problem with PLC panel and it needs to be replaced. No progress in work has happened in last several days. . Whatever, may the reason till date the panel has not come and we continue to face problem. Immediate and appropriate action need to be taken to reduce our problems. If service can’t be extended for this issue or product, please indicate to us, so that we will see other alternatives like purchase of new machine or approach other service centers. B/6, Room No. 2, Shri Mayur Co-op Hsg Soc. I have a onida liliput washing machine,which was working very good for last 3 yrs.Last 4 days it is not working.Kindly send a service engineer urgently in my home. Expect your best service urgently. I B.George Babu, onida washing machine customer sorry to write the following few lines. Even after reminded you over phone/mail you have not responded. If ypu do not takeup this matter immediately, I will proceed to consumer forum with in five days. My washing Machine is under warranty period and having a complaint for washing machine. I have lodged a complaint at Rajahmundry (A.P State) service centre on 23/06/2012, complaint number is 12076146380252 ( HF168) ,asking them to repair the machine. But they have not responded and even not taking care for my complaint. I phone to them several times and requested them to get it repair. So far, they did not respond. The same thing inform to you also on 20/07/2012 to the phone no 022-28200435 ,you promised me to take further step for get it repair. Again, I phone to you to the same number on 23/07/2012. But no response from your side also. Onida is a biggest reputed company in India but the service is very worst. How can I believe your company?. How can I suggest to others about your company? Customer care, Mumbai also does not take care for the complaint of a customer like me. Where I have to go?. This is not correct on your company good will. Such a biggest company does not take care of customer. You are neglecting / insulting a customer. This is not correct on your part. Hence I request you to replace the machine immediately. Kindly take care of my request. We have a problem with Onida washing machine in beginning of Nov, 2010. And complaint was lodged (No. 10110736381040) with my alternative home mobile number. Mr. Raj Kumar (Engineer Kukatapally sector – Mobile number 9059111217 and 9573836000) has come and checked the washing machine. He concluded that there is no problem and we paid the service fee also. However, the same machine has not worked from the next day morning. Same thing was highlighted to Mr Raj Kumar. When he checked the machine and told that there is problem with PLC panel and it needs to be replaced. No progress in work has happened in last several days. Six days back the issue was indicated to Mr. Ram Singh (In-charge Kukatapally sector – Mobile number 9393099453). Whatever, may the reason till date the panel has not come and we continue to face problem. 506, Sapphire Block, My Home Jewel, Madinagude, Hyderabad. 1. I purchased the Onida Washing Machine . on MAY 2010. Onida Tumble 55 Front door washing machine in that Front Door spring Broken in the Transport From HYDERABAD to Bhimavaram .your service Engg Visited 3 Month Back he told that Spring Not Available in Our Onida Company .